This Ariens shear pin will protect the snowblower's gear case if it becomes over-torqued. A broken shear pin can be easily replaced, so you can get back to clearing snow quickly. Ask us about the Ariens Professional/Deluxe Shear Pin & Nut 51001500. Please no repair questions. Your Q&A may be posted to SnowblowersAtJacks.com to help other shoppers, like you, with their purchasing decisions. Thank you. 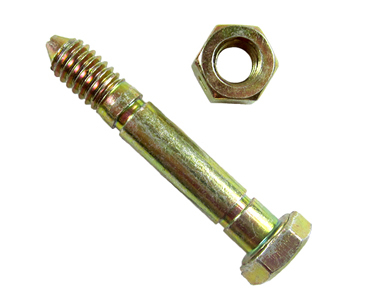 What is the overall length of the shear bolt ?